Shahid Afridi & Sana Bucha Shut Trolls! 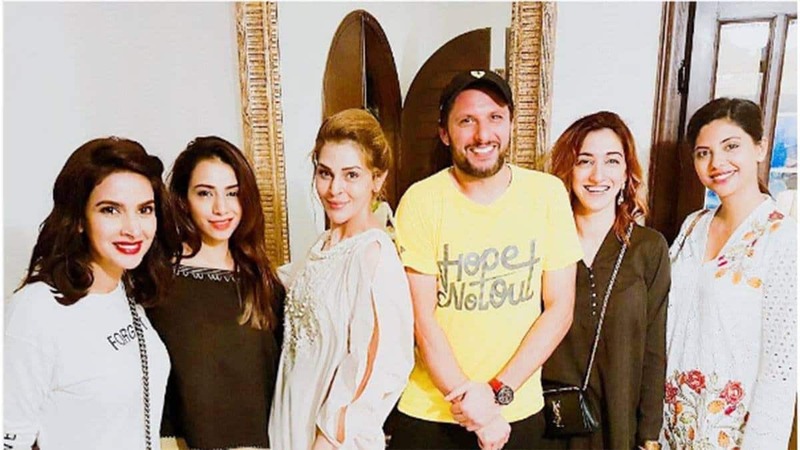 Sana Bucha keeping up with the Ramzan Spirit hosted a lavish sehr party, she invited over all the top celebrities of Pakistan, Shahid Afridi was also among the celebrities invited by the lady. One picture, in particular, caught the eye of the public and things got unpleasant. After the Suhoor, Shahid Afridi took to Twitter to thank Sana Bucha for the very generous invitation and referred to her as ‘sister’. The picture of Afridi swiftly went viral and caused a bit of an uproar on Internet. However, finally, after all the hate, Bucha took to her Twitter account to shut the haters.